IIS 8.0 Hosting - HostForLIFE.eu :: How to Fix: "HTTP Error 404.17: The requested content appears to be script and will not be served by the static file handler"
This especially obnoxious error occurs when you are trying to run a ASP.NET application in IIS 8. This happens because ASP.Net is not installed correctly for IIS7. 1. 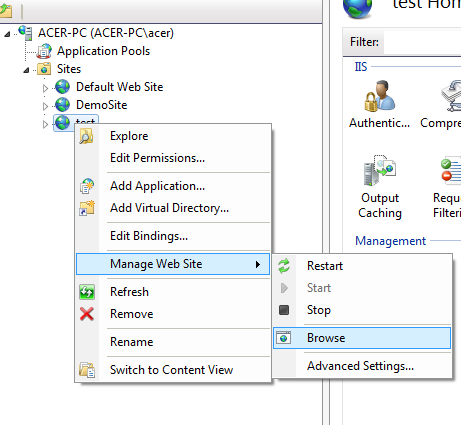 On IIS, Click on Application Pools in Application Pools look for the website name you added in IIS. 3. 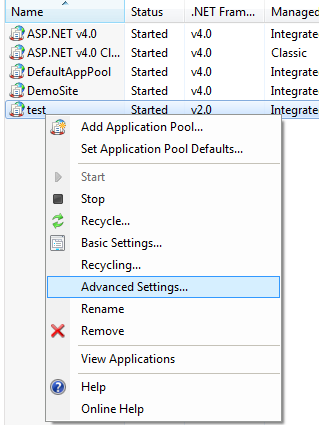 Within the "Edit Application Pool" dialog, set the ".NET Framework version" to ".NET Framework v4.0"
This question was asked so many times, and in this occasion I am going to share with you how to change application pool identities in IIS 8 using PowerShell, there are several ways to do so, and one of my favorite ways to get and change information about an application pool is through the IIS Provider that’s loaded when importing the WebAdministartion module. You can get basic information about the pool using the Get-Item cmdlet. In that picture you can see that a list of application pool settings and information is displayed, but you will also see that some seem hidden from you. ProcessModel contains the identity information in a property named IdentityType The one we want for the application pool identity is ProcessModel. 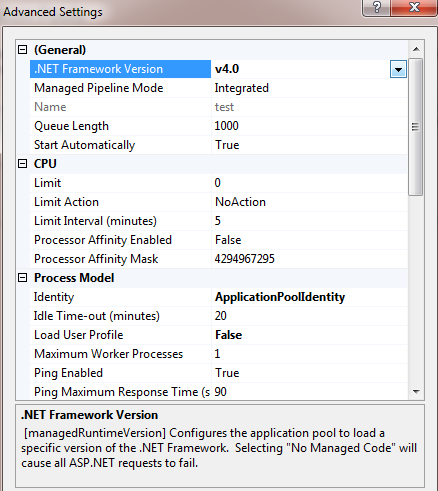 You can retrieve the information from ProcessModel by using the Get-ItemProperty cmdlet. It’s a bit unusual, but this will make it much easier to change the IdentityType with the Set-ItemProperty cmdlet. Before I show you how to change the application pool identity, the values for the identity are Int32 (numbers). here are the identities and their corresponding numbers.